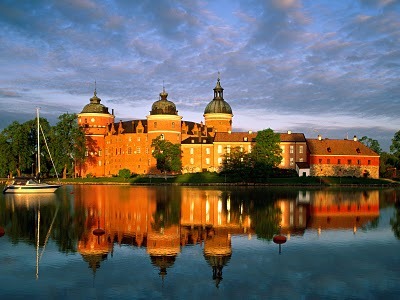 On the bank of Lake Mälaren is one of the finest historical monuments of Sweden. The old castle was completed in 1709 after expanding a old fortress that was there since 1380. It has been used as both residence for the Swedish Royal Family as well as a prison for the King's brother between 1563 and 1567. Today the castle is open to the public as a museum, containing paintings and other pieces of art.